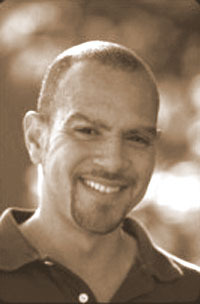 Rodney Jack was the GE Foundation Resident Artist of Color at Yaddo, and a Fellow at MacDowell. His work has appeared in Agni, Chelsea, Ploughshares, and Poetry, which awarded him the Eunice Tietjens Memorial Prize. He lives in North Carolina. Yes, Rodney died in August 2008. A beautiful soul and a very talented poet. RIP Rodney Jack. I have been researching trying to find this same rodney jack poet! He and i were good friends years ago in 2005 and we have lost touch. I can’t seem to find him anywhere! Until i came across this disturbing post! Do you have any comments, criticism, paraphrasis or analysis of this poem that you feel would assist other visitors in understanding the meaning or the theme of this poem by Rodney Jack better? If accepted, your analysis will be added to this page of American Poems. Together we can build a wealth of information, but it will take some discipline and determination.